On behalf of the team and myself, I would like to wish you a warm welcome and enjoyable stay with us. Be it for a conference or an amazing event at IMPACT, I hope that you find a moment to relax and interact with the team here at ibis Bangkok IMPACT. Ibis Bangkok IMPACT guarantees the best rates at the heart of IMPACT Exhibition and Convention Centre. This budget friendly concert hotel offers 587 modern rooms with free WIFI in room and all public areas. All rooms are soundproofed and air-conditioned, with 54 interconnecting rooms, 13 wheelchair access rooms, 470 twin rooms and 117 queen rooms. 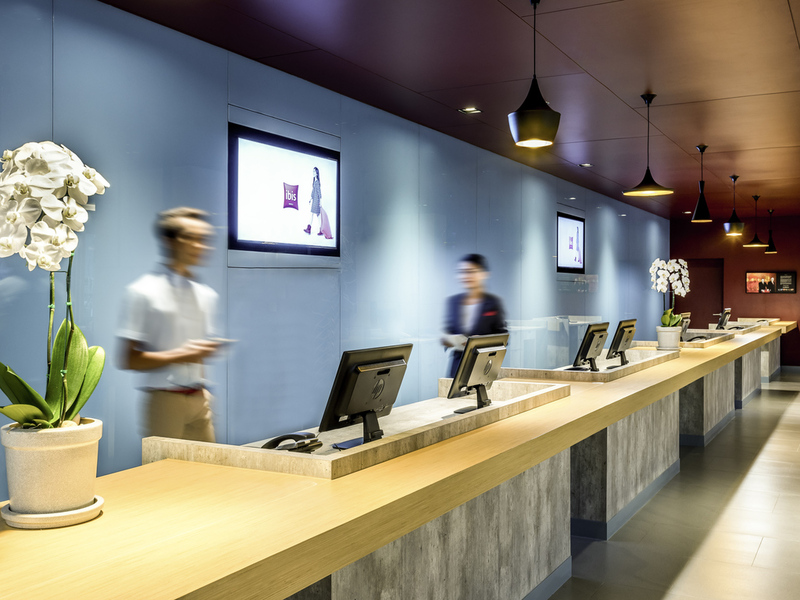 Featuring a popular bar, restaurant and 24h/24 reception, ibis Bangkok IMPACT offers comfort at the best price for business and leisure travelers. Located at the heart of IMPACT, Thailand's largest meetings and events venue, ibis Bangkok IMPACT is just a 15 minute drive from Don Muang International Airport with easy access to the city centre. Nearby attractions include IMPACT SpeedPark, a state of the art electric go-kart track and discount shopping outlets. Our modern and funky rooms feature warm ambience and offer all the required amenities. A casual place to get together over a drink or light meals. Available 24 hours a day. Warm welcome by staff, clean and well furbished room, breakfast was good value. I usually stay at a Ibis hotel if possible during my travels because you know what the brand offers . The service I have found is very similar wherever in the world you go . Ibis Impact Bangkok is no exception . Comfortable clean rooms , pleasant helpful staff , and this hotel has a covered walkway direct to the Impact Arena . If you are visiting the Impact Arena this is the hotel to stay . It was my second period time that I went to stay with you at Ibis impact, I have to say very very thank you mention to Khun Kath of Reservation Department of Ibis impact. She seggest me to the right things what specially for me and family. And the room was clean and tidy, also is in a good located. I always seem to enjoy my stay at Ibis whenever I am attending the Impact motorshow. Fulfill my request, higher level with the view to the Impact. Room is clean as always and pleasant. Accessibility is amazing with the newly walkway to the Impact exhibition hall. A new hotel with friendly and helpful staff. Clean room and great breakfast. Convenient and very short walking distance to IMPACT. Overall, a truly enjoyable stay at Ibis Bangkok IMPACT. Keep up the good work! It's very modern amd comfortable. Quiet and clean. Very basic room facilities. in the first night, I had problem about basin but when i told the reception in the morning, everything had done when I come back. very good!! Room was clean and comfortable. Staffs were friendly. Very clean room and basic items were provided (towels, hair dryer, water). Friendly and helpful staff. Overall, the stay was comfortable. The beds were extremely so. Rooms were clean and breakfast had a reasonable selection. Housekeeping kept the room well. Rooms were quite tight, especially the bathroom, where the in-swinging shower doors left little room to maneuver when in the shower. Overall, was satisfied with the accommodation and would stay there again if in the same area.